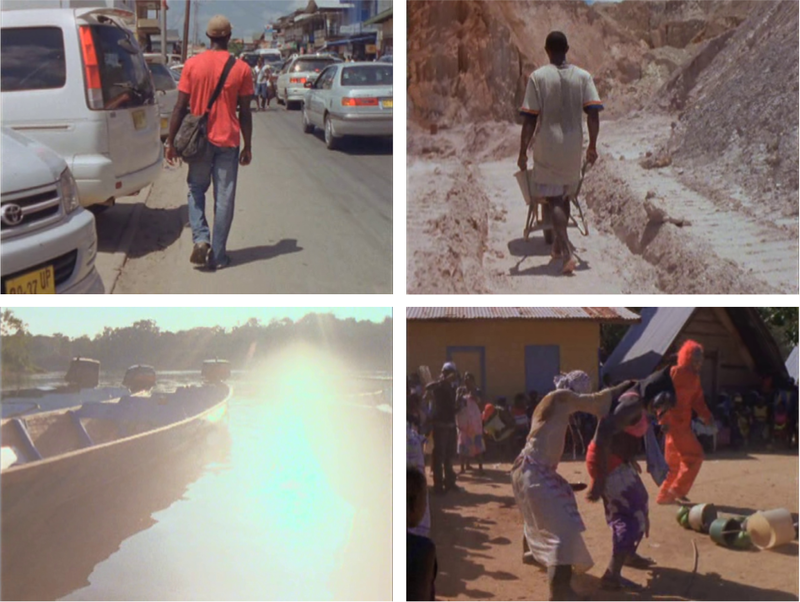 Itinerant media artist and curator born in 1976, Ben Russell is mostly known for his award-winning debut feature Let Each One Go Where He May (2009). I had a chat with him a few days after he finished shooting his next attraction A Spell to Ward Off the Darkness (co-directed with his colleague and friend Ben Rivers) and a few hours before he started editing the material. In the interview that follows, Ben Russell talks about his filmmaking credo and his efforts to depict Existence through the Magic of Cinema. Enjoy the Ben Russell experience. Débordements : Your work around anthropology and experimental film makes me think of a jam in which your colleague Maya Deren found herself in late Forties / early Fifties : she shot some footage of Voodoo ceremonies in Haiti but back in New York, she abandoned the whole movie project because she realized that editing the Haitian film footage couldn’t do justice to the “integrity” of the rite. She then decided to write a book, with the thought that it could be more comprehensible for a Western audience. So my first question is : Ben, why did you choose moving images over written words ? Ben Russell : It’s funny to think about this question in relation to her work because – I mean – have you read Deren’s Divine Horsemen ? It is super-boring ! She’s not a trained anthropologist, so the book has a really indexical relationship to experience ; it tries to exhaustively describe everything, whereas the material that she shot is pretty incredible. You know, in spite of the fact that the footage is really naive because she didn’t quite know what she was filming, to me it seems to be a lot more evocative of – I guess – Time and Space. To answer your question, it is hard for me to get language to function in the way I want Time and Space to function because the written word has neither Time nor Space. The films I’ve been making and the people I have been working with very clearly exist in Space and their experiences of the world and activities are all directly inscribed in Time. I can’t think of any better way than film to address this essential function of Existence. Truth be told, I don’t trust language. Language exists to describe that which isn’t language and so it can never quite arrive at the things themselves. I mean, language works beautifully as an expressive tool and that’s why both poetry and theory are so exciting, but language as a stand-in for Time/Space can never really succeed. And to get back to Deren, you know, originally River Rites was a sequence I shot in Suriname with the notion that it would be part of Let Each One Go Where He May. It was immediately clear to me that it could not function as a part of that film but it was too resonant to let go of – so I just held onto it for a long time and tried to figure out ways to work with it. It was after re-watching Maya Deren’s Divine Horsemen footage and re-visiting some of her earlier discussions around Time as a fundamental component in Cinema, around how Time shifts the way we perceive bodies in Space, that I found a way to make that sequence stand on its own as a film. D : Given your concern about Space and Time, is the long-take aesthetics you often adopt a way of respecting “the integrity of the rite” – to put it in Deren’s terms ? BR : Maya Deren initially had a very naive relationship to the Haitian Voodoo ritual that possibly opened her up to a truly transformative experience. When her time there was finished, she couldn’t go back to the material that she shot and allow herself to use it without fully comprehending it, hence the overwhelming necessity of representation and explication came to the surface. We’re quite different on this point – I am not trying to be representative of any particular experience. I have talked a lot previously about the difference between “knowledge” and “understanding” : I think that knowledge tends to be fact-based and expository while understanding tends to be a bit more intuitive and emotive. I can film a ritual in a Saramaccan village and then describe what happened in a way that my experience produces data and knowledge that somebody else can take without having the experience that I had – this isn’t what I want. All the problems inherent to language, cultural difference and cultural relativity make it quite impossible to be able to explain human activities and culture. I think it is possible to gain an understanding of these things but not to “know” them. What I’m after is the transmission of an understanding which actually requires the person to directly experience the event, either by being physically present or by arriving at a kind of empathy through a direct relationship to the things that have occurred. BR : It depends on the film. The sorts of ritual and the trance that are presented in Trypps 3 and Trypps 7 are vehicles for a trance experience through Cinema – I am not trying to produce in the audience the same trance experienced by the subjects in the films. It is more like this : you see a thing happening onscreen and you slowly find yourself experiencing something in parallel with it, a Cinema-trance that shares something with the subjects’ trance. 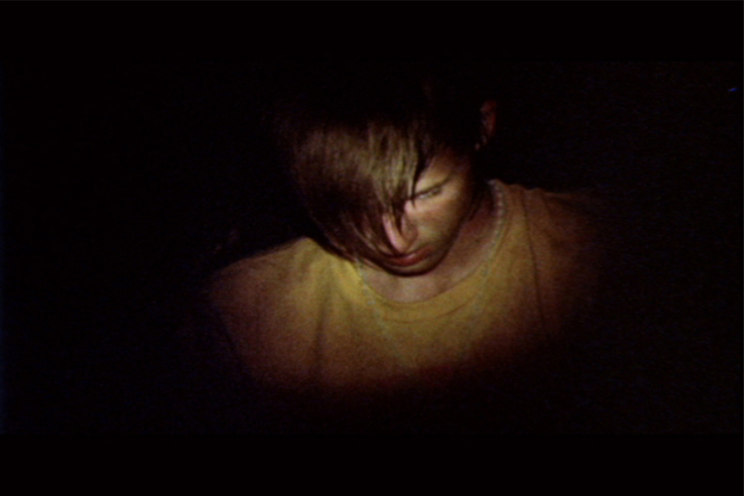 In the ritual shown in Let Each One Go Where He May, I am not attempting to produce another trance through its manifestation : although trance sometimes occurs within the Adjo death ceremony, for the spectator the Cinema-trance happens by virtue of duration and proximity, from moving with these onscreen bodies for the film’s full 135 minutes. I am not saying that trance is always of a temporal kind, but in this case it is not just ceremony or ritual but the fact of movement, of travel, that is meant to shift our cultural and physical selves in relation to other selves. D : Do you think that a certain degree of detachment is required while filming a ritual or do you believe that trance can be “transmitted” to the audience only if the filmmaker takes part in the ceremony, as Deren believed ? BR : Well, Jean Rouch talked about participation in Cine-trance, but it was primarily a way for him to experience the thing itself, in some cases to produce the ritual and later reproduce it for the audience. Judging from their texts, I am not so convinced that either Maya Deren or Jean Rouch were actually that invested in producing the audience as a subject of trance experience. For them, the emphasis seemed to be on comprehension and understanding and less about Cinema’s role in producing trance. In talking generally about Deren and Rouch’s approach, it seems like we differ on a significant point : I don’t believe that the trance that happens in non-filmic space can be recorded and then re-created (it seems like a really impoverished way of thinking about what Cinema can do). Instead, I try to record or enact some kind of experience and then translate this experience into a wholly other kind of experience. D : Now a quote from another colleague of yours, Edmund Carpenter. Fourty years ago, he wrote : “The search for the primitive is surely one of the most remarkable features of our Age. It’s as if we feared we had carried too far our experiment in rationalism, but wouldn’t admit it and so we call forth other cultures in exotic and disguised forms to administer all those experiences suppressed among us”. This quote applies in a very general and simplistic sense to every Western guy going abroad to film other cultures. That said, it seems to me that things are far more complicated, so I would like to ask you : are Trypps 3 and Trypps 7 a reaction against rationalism but within Western culture ? Are music concerts and film screenings “institutional spaces” where Westerners can leave their rationalism behind and experience a trip ? BR : Yeah, I think so. But, you know, while it is easy to talk about “Western” and “non-Western”, to me it makes more sense and actually feels more precise to talk about “secular” and “non-secular”. I think that the trip experience that happens in Number 3 and Number 7 is a secular one, but in a lot of ways it has the same ambition as the trance experience that you find in Pentecostal Christian Churches – you know, where they speak in tongues and handle snakes – or in Indonesia during the Tatung piercing rituals. These things I just mentioned have a religious framework and a belief system that motivates them, while other gatherings like noise concerts or raves don’t. Regardless of whether they have a religious framework or not, they are after the same kind of experience : the means are always radically different but the end is somehow the same – “transcendence”, for lack of a better word. Structurally, there are many clear similarities between the Lightning Bolt concert in Trypps 3 and the Adjo ceremony in Trypps 6. The shift in terms of how we perceive the space happens at about the same point, in both films there’s a guy with a clapperboard and there are camera movements and flash photographs that force you to re-locate youself, to re-position yourself in relation to the mise-en-scène. More importantly, both films use music as a catalyst for ritual – so really, they function in essentially the same way. With regard to this idea of “the primitive” or “the other” or some other questionable term, I lived and worked in Suriname for two years when I was in the Peace Corps and never had the ambition of “finding the other” in South America : I was just looking for a universal kind of humanism, because I consider culture as a defining function for what we do, not for what we are. When I make movies I am not interested in filming “other people” : I want to make films with my friends and I think that this is far beyond any idea of “the primitive” – a word which proposes a false relationship between dominant and subordinate culture, a word that I wish folks would stop using. Anyway, I have this idea that there is an essential quality... no, maybe not an “essential quality”... I think there is an essential ambition that is shared across cultures and this is what I am trying to sort out – this is the thing I am most excited about in my experience of the world. D : According to the perspective you just described, what is in your opinion the role of drugs in our culture ? Of course there are lots of different drugs and they have different effects, but why do you think we need and use them ? BR : Well, I don’t care much about speed or coke – you know, uppers, things that sort of change your temperament –, I am much more interested in vehicles that somehow produce a way of seeing, hearing, tasting that is outside of one’s everyday consciousness. This is why the Yanomami indians use ayauasca, why the Huichol Indians use peyote. Hallucinogenic drug experiences are a path into a different human experience, an experience that certainly has cosmic dimensions. My interest in and my own experience with drugs was informed by folks like Timothy Leary and Aldous Huxley, thinkers who wrote about expanding consciousness and perception – ideas that are vital to me whether I am tripping or not. Getting fucked up isn’t the point – to find a way to move forward is. D : Can Cinema work as a drug on our consciousness ? BR : If we consider Time and Space as some sort of sense as well, then Cinema involves three out of six senses which is more than any other medium can claim. Cinema has the ability to make parallel worlds, to create new spaces, to produce sonic and optical confusions and realizations – all tools that psychedelics have in their arsenal as well. If Cinema can alter perception then I suppose that it is a drug, although to call it by that name is to limit it, to tether it to something it’s not. Drugs and Cinema share several characteristics and have the potential to be both radical and amazing, but they are not the same. 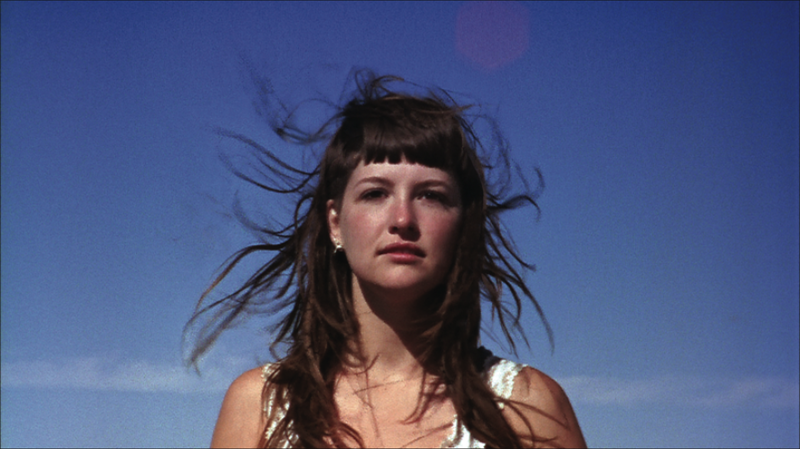 In Trypps 7 – when the girl is on acid in the Badlands – my goal isn’t to make the audience feel as if they had taken LSD. If I wanted that, I would put LSD into everybody’s drink before the show because acid does acid much better than Cinema, and Cinema does Cinema much better than acid. To me, it seems like a problem to try to produce “the drug effect” through Cinema or “the Cinema effect” through drugs. D : You shot a kind of remake of Lumière Brothers’ Workers leaving the Factory in Dubai. Moreover, the artwork of your website recalls Edison’s Kinetoscope. What is the link between your movies and late 19th Century’s moving images ? BR : When you watch Early Cinema, you initially have the feeling that everything is just happening as it was in front of the camera – and then you think about the fact that 19th Century cameras were much clunkier than now, that filming some workers leaving a factory meant spending a lot of time setting up the shot and necessarily asking your subjects to stage certain actions. Workers leaving the factory was actually shot three times – and it is this fact of construction and its clash with the idea of objectivity that is one of the hallmarks of Cinema. I don’t believe that documentaries exist. To believe in observational documentary means that you really have to believe that you can reproduce the world you are recording through Cinema and I don’t believe that. D : Apropos of Early Cinema and Lumière Brothers, their early film L’arroseur arrosé is an extraordinary example of the directorial need for total control over the pro-filmic : the kid escapes outside the shot but the gardener brings him back into the frame and punishes him. On the one hand, through the steadycam shots we have seen in Let Each One Go Where He May, you seem to have bypassed the problem, following and losing your characters in a seemingly casual way. On the other hand, I am pretty convinced that this “by chance” atmosphere actually requires a great deal of control and organization, thus making the title Let Each One Go Where He May sound a bit ironic. What is your take on the role of the movie director as the person who tells other people what to do ? BR : I feel pretty good about it, but the degree of control really varies. In Let Each One Go Where He May several of the shots were only shot once, while others were shot four times. I feel okay about control because – as I just said – I don’t believe in documentary. Having said as much, it is not interesting for me to make a film exactly the way I want to, without “the world” informing how it is made (“the world” can be the people I am working with, or the space that I am working in or the equipment I am using). It is not exciting for me to work in a manner that is unaffected by the world. This is why I spend a great deal of time creating conditions where unexpected things can just happen, to pave the way for serendipity... but I also want to make the films that I want to make and that requires a lot of control and a certain amount of... I don’t know... “foresight”, I guess. D : Is the aforementioned ironic title aimed at the Western ethnographic gaze too ? I mean, are the cultures that ethnographers represent really going where they may ? BR : Yes, this is a question that the film also asks. The title comes from an oral history about slaves that escaped from a set of pretty terrible conditions. However, for the Gods to say “Let each one go where he may” to the mortals who have already been captured, brought across the Ocean and enslaved on a plantation, this is already a horribly restricted set of possibilities for anybody to deal with. I always think about the title as having to do more with free will than anything else but, of course, that free will also has to do with how the audience feels about watching somebody walk for two and a half hours, how the subjects feel about being produced in this particular way. The question of control is critically important and the presence of the Gods is meant to address it : if there are Gods who can free people then there are Gods who can determine what the people’s fate will be. I suppose this could be said about ethnographers who prescribe an overly determined reading of cultures – but both of these are clearly false propositions. The question of free will, in relation to Existence and culture, is a lot more complicated than any predetermined system. All pictures are from Ben Russell’s movies, except for La Sortie des usines Lumières à Lyon. In order : Trypps 6 / River rites / Let Each One Go Where He May / Trypps 3 / Trypps 7 / La Sortie des usines Lumières à Lyon (Frères Lumière) & Workers Leaving the Factory (Dubai).